It’s a sad day for Star Wars fans. 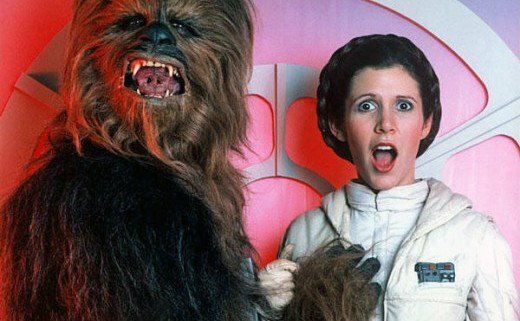 Carrie Fisher, whose iconic character of Princess Leia made her famous, died early this morning in Los Angeles, California four days after suffering a major heart attack. She was 60 years old. Fisher is survived by her daughter actress Billie Lourd and her mother, actress Debbie Reynolds. 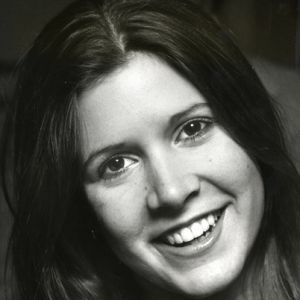 The daughter of pop musician Eddie Fisher and actress Debbie Reynolds (Singin’ In The Rain), Carrie Fisher was born October 21st, 1956 in Hollywood, California. Fisher’s first film came at the early age of eighteen with a small part in 1975’s satirical comedy romance Shampoo. Fisher also met singer/songwriter and future husband Paul Simon on set, the man she always referred to as the one true love of her life. Fisher would go on to star in over forty films in a four decade career including Hannah and Her Sisters and When Harry Met Sally. In addition to acting, Carrie Fisher wrote four novels including the semi-autobiographical work Postcards from the Edge which she also wrote the screenplay for. Fisher toured theatrically for a while with her one-woman act Wishful Drinking, about her struggles with drugs, alcohol, depression, and the pressures of acting. On a personal note, while I’ll always remember Fisher’s iconic role as Princess Leia, her most under-appreciated role was Carol Peterson in the 1989 comedy The ‘Burbs alongside Tom Hanks. Her sardonic and self-deprecating humor matched an outspoken and sometimes manic personality. I actually watched her one-woman act on HBO and it was as touching as it was hilarious. Most recently Fisher published the memoir The Princess Diarist based on her diaries during the filming of Star Wars: A New Hope, which among other things detailed her torrid love affair with co-star Harrison Ford. Fisher’s final film will release next year with the yet untitled Star Wars Episode VIII. Rest in peace Carrie Fisher. You will be missed.